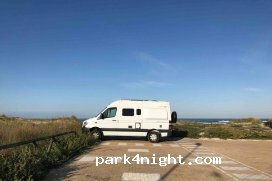 Petit parking 4 places bitume devant la plage et la mer. Très calme. Jolie vue. Aucun service. Se situe au bout d’une route en impasse. Nous l’avons trouvé en cherchant sans succès le lieu pleine nature près de la torre vigia del castilnovo. Small parking 4 places bitumen in front of the beach and the sea. Very quiet. Nice view. No service. Located at the end of a dead end road. We found it by searching unsuccessfully for the wilderness near the torre vigia del castilnovo. Kleiner Parkplatz 4 Plätze Bitumen vor dem Strand und dem Meer.Sehr ruhig. Schöne Aussicht. Kein Service. Am Ende einer Sackgasse gelegen. Wir fanden es, indem wir erfolglos nach der Wildnis in der Nähe des Torres vigia del castilnovo suchten. 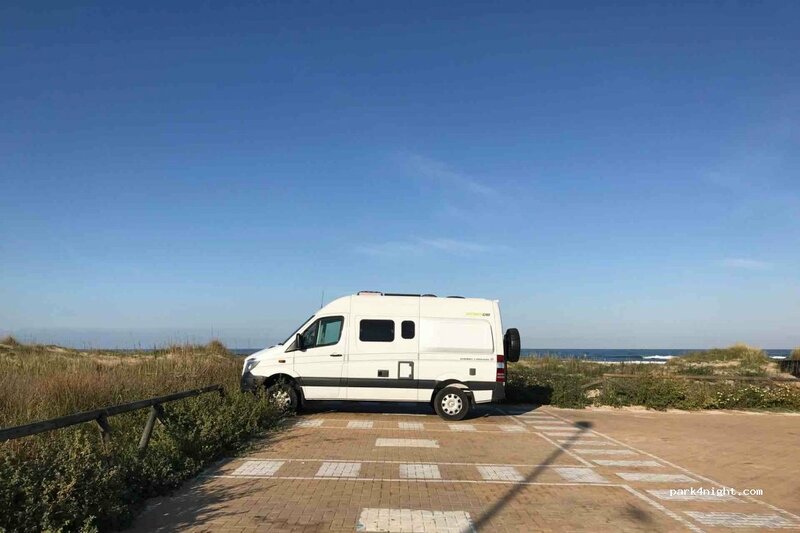 Pequeño estacionamiento 4 lugares de betún frente a la playa y al mar. Muy tranquilo. Bonita vista. Sin servicio Situado al final de un camino sin salida. Lo encontramos buscando infructuosamente el desierto cerca de la torre vigia del castilnovo. It is a wonderful spot, but... Sadly, while we were off for a lunch today our van has been forced open and our valuables were stolen. Police told us that thieves are watching and wait just for an opportunity. So be careful ! Stayed here last night, we were the only camper van very quiet night. there was one other car that beeped us as he drove off in the morning (possibly to wake us up) but other than that no problems. Great location right next to the beach. no services. 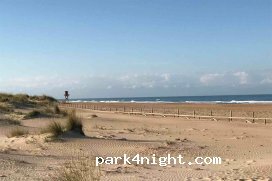 Sitio estupendo para disfrutar de la playa con perros Solo hay 4 sitios para aparcar. Hicimos noche sin problemas. Había otra autocaravana con los que hablamos, habían pernoctado una noche antes y la policía pasó sin decirles nada. Supongo que depende de la época serán mas o menos permisivos. El sitio estupendo, pero la policia local nos ha invitado a irnos muy amablemente bajo amenza d multa. En todo El Palmar no está permito ni tan siquiera aparcar para las AC, de pernoctar ya ni hablamos. 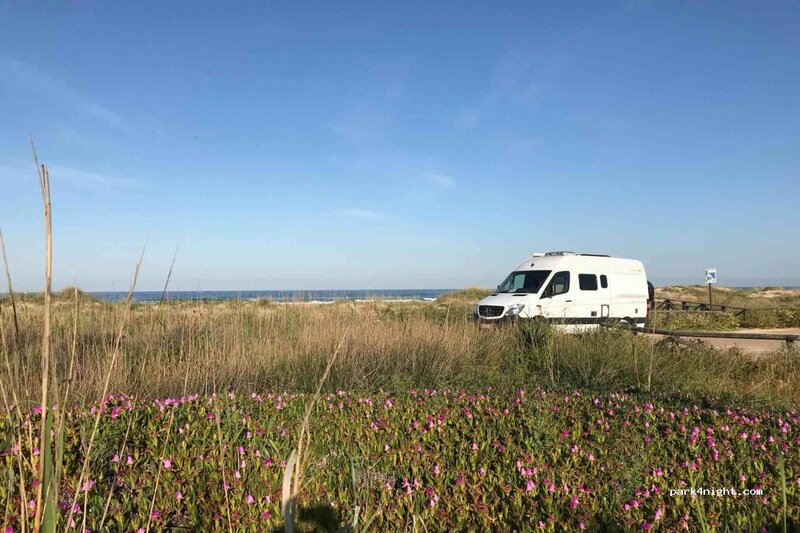 El litoral gaditano NO es caravan friendly.